Rewind back to May 2015. We closed down a B2B retail startup called atmospherics.io. We had found our “product-market fit”. Unfortunately our startup didn’t end up that successful and we decided to move on. It was common to have discussions about what was the magic to make great product. We’d fudged our way through and somehow made something people wanted, but couldn’t reach organic growth. Could I actually create virality? This is when I took an interview with a Berlin based startup for a junior product management role. The case interview required me to recommend improvements to their referral program — a famous growth driver. My case later transformed into a viral project which generated 40k+ page views. This is how it all happened. At the time, I had no clue what were the best referral programs out there, and most importantly why. I Googled the topic. The Internet had some good, but scattered resources. I spent 2 hours gathering a collection of screenshots from 15 different tech companies. The result was messy, but helped me understand some recurring patterns. Fairness. Most people expect fair benefits for both invitee and invited. Alignment. Program rewards are aligned with company values. Accessibility. Referral feature accessibility inside the app is good. Timing. Ask people to refer the product at the right moment is important. Lifetime. Referrals decrease over time when people have less people to share with or less excitement to share. The feature may maximize this instant. These clear learnings made me craft a 10-slides presentation I later presented on-site. At this point I had discovered a problem. Whoever was looking for a neutral, detailed listing of the best B2C referral programs would have to follow the same process. They would lose time, like I did. An amount of time downloading and signing up to all these apps is required. A few weeks after, I moved to my product position. I learned that building a new referral program was part of my team roadmap and realized that successful referral programs were a black box for many people in the product team. This moment was the customer validation around the idea. I knew I wanted to structure my learnings into an educational project. I thought maybe I could get a few hundreds people to read it. 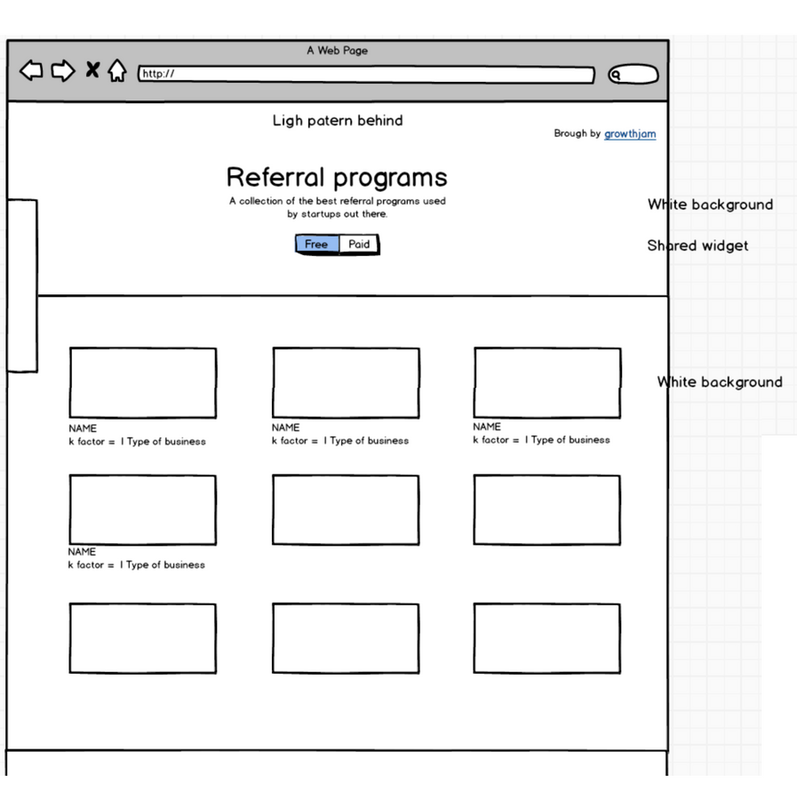 A company referral program flow page. I’m no designer so there were no graphics, all flat assets and some navigation guidelines. I decided to build web pages on it. I was lucky enough to be reading the amazing book “Traction” which really opened my eyes on the fact that traction and product are of equal importance. 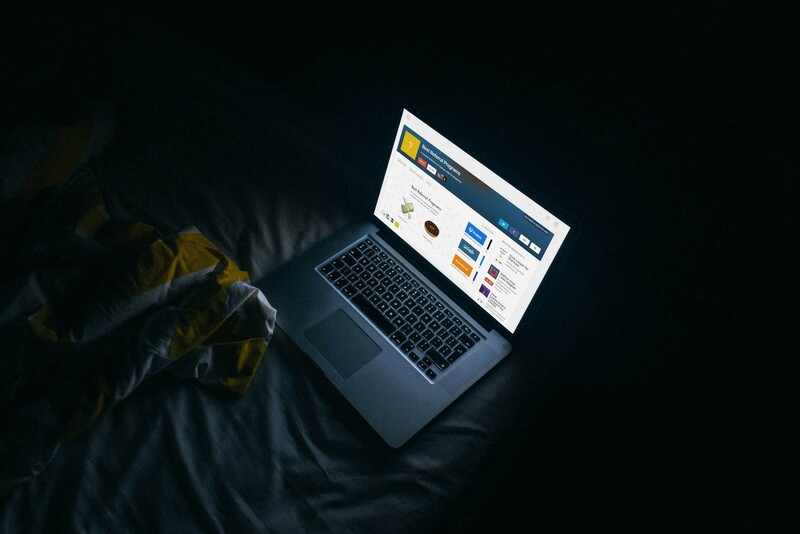 My early thoughts turn into sharing this project on Product Hunt (or PH). 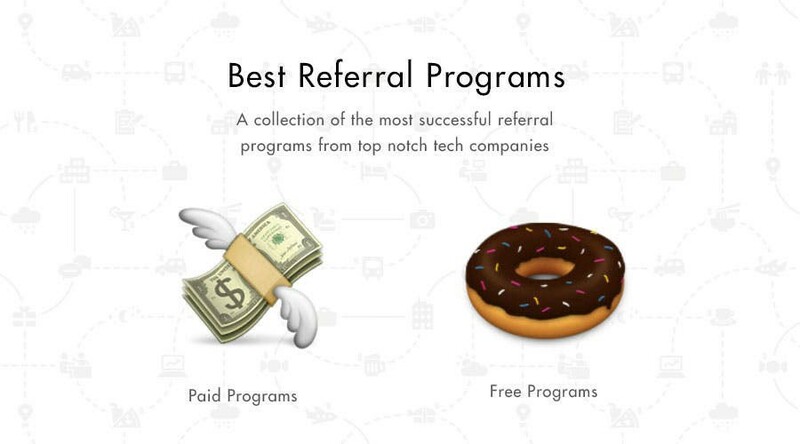 A collection of best referral program practices could appeal to the community. A talk convinced me to get the subdomain referral.mywebsite.com. A subdomain had less SEO power but added a touch of neutrality toward my blog — which could appeal to PH community. 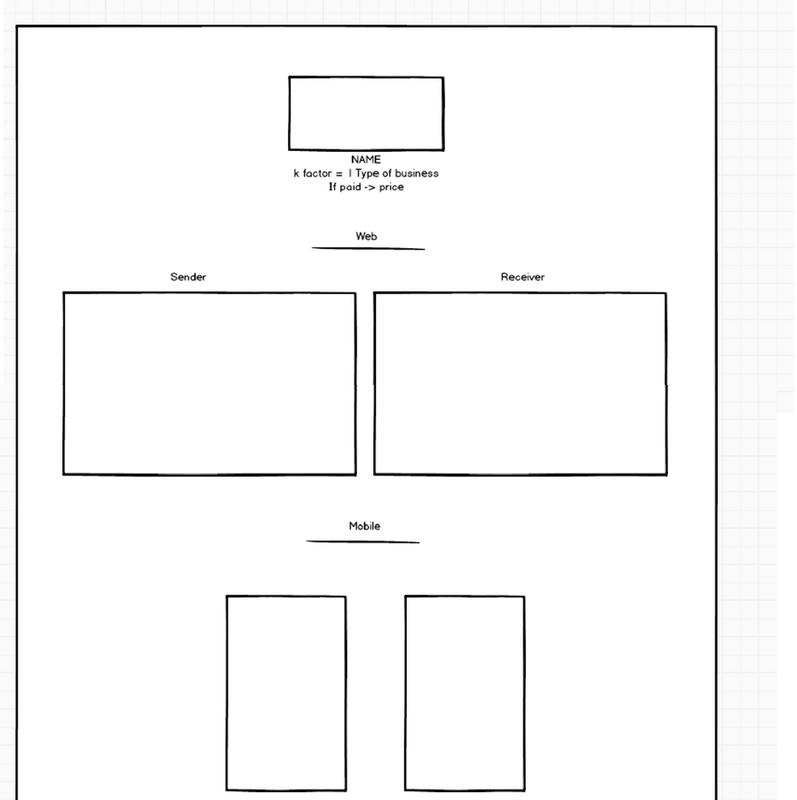 I started building the pages. Another 4 hours were spent throwing together the website final version. I put screenshots, KPIs and tactics notes together using WordPress flexible theme “Enfold” and editing CSS. Built and deployed in 6 hours. This was the result. Top email opt-in bar, a fast way to deploy an email opt-in form across all pages. Back buttons to navigate easily. Responsive design to enhance mobile users experience. Social sharing bar. I created an image that would be displayed when people share the page on social medias. WordPress refers to it as featured image. Dedicated email address to connect with people. I sent it for review to some knowledgeable friends and improved it. By the end of day one the “product” was ready. I needed to launch on PH. There are plenty of ressources to find influential hunters — like this top 500 hunters list. But finding “famous” hunters means to pitch them first and wait to fit the project into their agenda. A good trade-off was to find a less solicited top tier hunter with a good track record. I messaged a friend user #560 on PH who accepted to post my project. A Cover Image. The cover is seen rather small on PH feed so having the fewer words possible is key. I use a gif maker and some complementary flat color range to capture people’s attention. The Comment. I prepared a comment once the product would be posted to tell the community “the why” behind the project. Doing so and mentioning that you are willing to answer people questions will boost the engagement on the project page. To be there at PH daily counter start and get early visibility. To target the European community in the morning and leverage the US community who tend to upvote same projects by mimetism in the afternoon. Friday 9:00AM — The product was live on PH. On that Friday morning, I gently asked in a few Facebook and Slack tech groups to look at my PH project, and upvote if they liked it. I shared PH homepage rather than my specific product page directly. I reached out to people from various countries— IPs — simultaneously. First upvotes started to flow. I took the time to answer each comments. After a fierce competition that day, Best Referral Programs ranked #2 on PH. The project received 100+ shares on Twitter. Because the project reached the top 5 that day, it was featured the next day in the “Weekend’s top hunt” newsletter, fostering its impact. The project received approx. 900 upvotes over time, that’s around 12 unique visitors per upvote. 544 people signed up for my blog newsletter using the top navigation bar email opt-in, that’s a 5% conversion rate. Considering how wide the project spread — including on social medias — the conversion rate was above market average. Now, they are a couple of things I did not expected from this project, among which 1 Affiliate program offer from a growth hacking product company. 1 Article mention as an influential founder to follow next to personalities like Ryan Hoover (Product Hunt) or Marc Köhlbrugge (BetaList). 50+ quality mentions and links to my blog (SEO backlinks!). 10+ requests to hunt people’s projects with my account. 20+ emails with additional referral programs to be added to the website. Over the next two months these opportunities lead me to narrow down my blog positioning and kickoff its audience. Hadn’t I have been further and re-used this referral program case that I would have a missed that chance. I think I’ll call that a ‘yes’. Fast forward to June 2017 I am confident Growth Jam will deliver valuable insights to people looking for simple yet efficient product and marketing executions. Join GrowthJam mailing list to learn game-changing executions.